You must make reservations at least 5 minutes in advance of the time at Shumi Omakase Plano. Please call or simply come to our restaurant for catering service. We will give you discount if your order is first time. We have 20 seater private room. There is no additional fee for reserve our private room. We prefer to reserve a week in advance. Additionally, Please let us know what special occasion you would like to do in private room. Welcome to Shumi Japanese Cuisine. Shumi, which means “hobby” in Japanese, was first started by our Master Chef Aikasa in New Jersey. The key to Shumi’s innovation lies in the name of its most popular dish: “Omakase,” which translates to “I leave it up to you” and puts the dining experience in the chef’s hands. 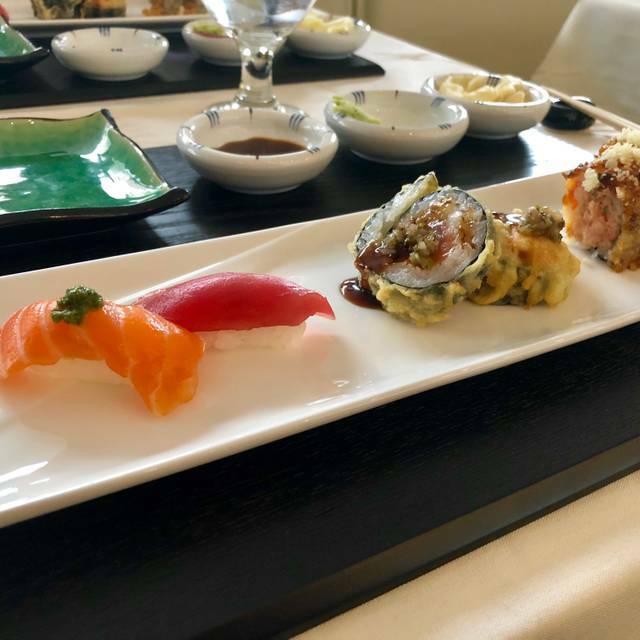 Shumi’s traditional Omakase has a unique way of introducing and presenting sushi to newcomers and aficionados alike. When you dine Omakase, the chef will present each piece of sushi and give you the full experience behind each one. You will leave having had a unique experience using all five of your senses. As soon as you step into Shumi, you will see the expansive open bar and get a sense of the refreshing atmosphere. The simplistic, modern aesthetic pairs perfectly with the artisan sushi and refined Japanese specialties. Come and experience the art of traditional sushi making with us. Shumi Japanese Cuisine is located at 7161 Bishop Road, Plano, Texas. I came with co-worker who told me that I won't regret the visit. Well, he was right! foods were delicious and lunch price was really cheap for sushi restaurant. it seemed that they need more staffs. During lunch time, I only saw manager and one waitress. she provided outstanding service, but I hope the restaurant will get more staffs. Great find! Loved this place. Easily one of the best restaurants I’ve been to in a while. It was a bit pricey but you get a lot with your order. Staff and service was top notch! We loved eating at Shumi Omakase. Master Chef Aikasa served us - we had the special omakase and it was amazing! Every dish / piece of sushi brought an interesting (and delicious) new flavor. Everything just worked - I absolutely recommend eating here! Great services and great food. Lunch special has great price!!! Great new place in Shops at Legacy! Food is very fresh and delicious, one of our favorite date night spots. We tried several appetizers, sushi we enjoyed it all. Would highly recommend. I love this place. Decided to check out this place after reading so many positive reviews. I gotta say the quality of the sushi rivals that of some of my favorite places in Dallas. Particularly enjoyed the their chef special roll and shumi signature roll. So much flavor, who needs soy sauce? Not this gal. Cannot wait to go back. Decided to try this place for Dinner today. I chose the Spicy Tuna Roll and Shumi Roll. Excellent! Hands down the best sushi I’ve tried around Plano. The food was fresh and tasty and the restaurant was clean. My friend went with the beef teriyaki box. It looked awesome and tasted even better. Will definitely be trying this place out again because the menu looks STACKED! The food, service, location, environment are great!! We experienced many different dinner plates and sushi rolls... all was extraordinary.... and of course, we had a delicious sake which recommended by our server. Thanks to our server Herny! and see you soon. It had been a while since I had really good Japanese food. The restaurant has a wonderful Japanese touch and modern ambience. The service was prompt and friendly. The menu has plenty of choice with the prices being very fair given the quality of the food. We tried the eel, rolls, sashimi, nigiri, washed down with some fine Japanese beer, Sapporo. All very delicious, well prepared and presented. Fantastic! 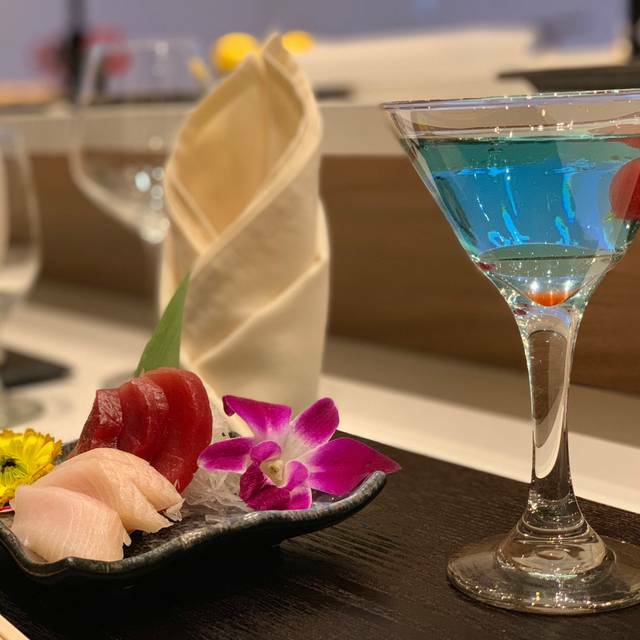 Simply the best authentic Japanese restaurant in Plano! 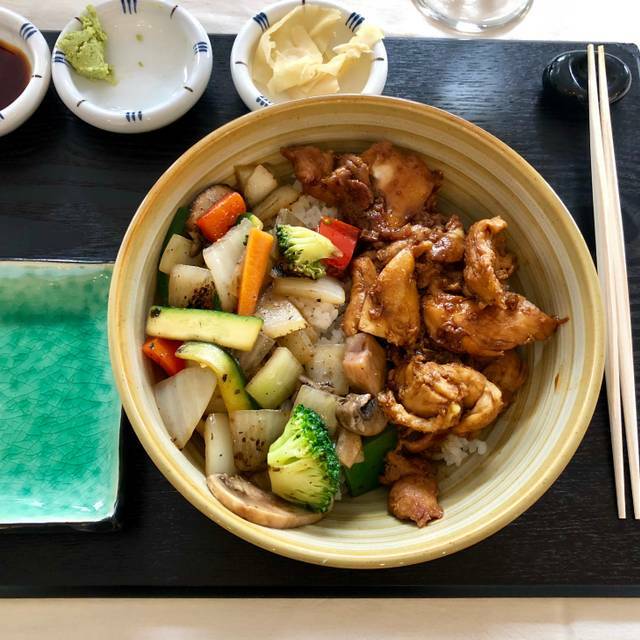 I have taken several Japanese colleagues, expatriates and customers to this restaurant...always top notch, very attentive service and delicious food choices to experience numerous Japanese dishes. Highly recommended! I always enjoy this place! Never been let down! I recommend people here all the time! Absolutely the best servers and customer care. The food was great! Recommended! I had a great time at lunch over here in Shumi. Complimentary sushi and edamame were nice. Must try sushi and sashimi deluxe. Highly recommended! I had a fantastic time in here. Highly recommended. Awesome modern atmosphere and authentic Japanese sushi. also, I never saw the sushi bar setting in DFW area like theirs in my opinion. The Shumi has become, I think, consistently good for sophisticated Japanese cuisine in Plano area. Keep it up and I will be back for another Omakase meal in future. This restaurant looks amazaing and the staff was beyond amazing and the food was delicious! You could not ask for a better place to eat. Our waitress, Lisa went above and beyond to make sure everything was ok and the way we wanted it. She also brought out edamame and Salmon sashimi while we waited for our food. Truely amazing place and will be back soon! Overall, my experience with the Shumi was positive. I ordered Sushi and Sashimi Dinner Deluxe and pork dumpling. Those were tasty. I wish they have more roll options, tho. Will come back for sure to try different menu. I came with my girlfriends and had great Experience here in Shumi. I did not know sake cocktail was existed! so, I ordered one cocktail 'lemon drop' and it was so tasty. It was so good with salmon and tuna sashimi. I will be back with my husband. Overall everything was fantastic! Nice atmosphere and table set up. I immediately noticed when I came into the restaurant. We sat down and ordered few appetizers and sushi. Food was fresh and tasty. Also, service was outstanding! Looking forward on next visit. Recommended by my friend and came here for lunch. If you like to have sushi for lunch, this is the place you want to go to. Foods were delicious! Servers were friendly and know what they are doing. I think I found a spot for sushi! First, I was hesitated to try this restaurant because I don't like raw fish neither fish in general. But my wife told me to book this place because nice atmosphere and table set up. Of course, she loves the sushi. After I visited here, I was impressed with service and foods. I ordered beef teriyaki box and few appetizers. Surprisingly, those were amazing! Only thing I complain is the they do not have fried rice. It was worth to try Omakase. I thought it was little over pricy, but I was wrong. Had a great time with Master Chef Ike. Thanks! Great place to have a brunch, good price range for the ambiance they provide. free salmon sashimi was a bonus! Had a great time with my wife. Complimentary salmon sashimi and edamame were nice too. Highly recommended. Very authentic Japanese with a sushi bar. Eaten there several times and it is always outstanding. Miyazaki Beef & Uni with premium hot sake, highly recommended! Everything was fantastic! food was tasty and servers were friendly and attentive. Will come back for omakase. Food was excellent compared to other Omakase experience. Servers were inattentive. Excellent food and outstanding service! Also, the band House Special was incredible and provided a fun atmosphere. Welcoming greetings from the staff. They sat us down at a table immediately. The waiter was very nice when we had any questions about the menu. Seafood was fresh. Ambiance beautiful. Although weather was nice and warm outside, I wish they had closed the doors so that it’ll be more cool inside. They didn’t have a dessert menu, but gave us delicious oranges at the end. (There is literally a dessert shop next door to them if you need sweets.) Overall, I would definitely come back! I used to live in Japan for 7 years and I am picky about sushi. I think I found a favorite sushi restaurant . Food was amazing, special thanks to the Master Chef. The food, service, atmosphere and menu selections are fantastic! I love that there are very good vegetarian options, too. The dining experience here while dining on the Special Omakase menu was phenomenal. I was exposed to a number of items I would not normally try, and each was presented with an explanation from the chef as to what we were eating. Many times we were presented with a particular fish, but served a piece of nigiri from 3 different areas of the fish so as to contrast the flavors. Particularly the Omakase menu is an experience, and you should plan on really savoring each piece with associated garnish. If your exposure to sushi is to go to a place that is much cheaper and dunk every piece in soy sauce until that is all you can taste, you are likely not to appreciate this experience. Flavors here were subtle and delicate, and you should leave feeling full without feeling like you've gorged yourself. Worst experience I have ever encountered. I will never be coming back.